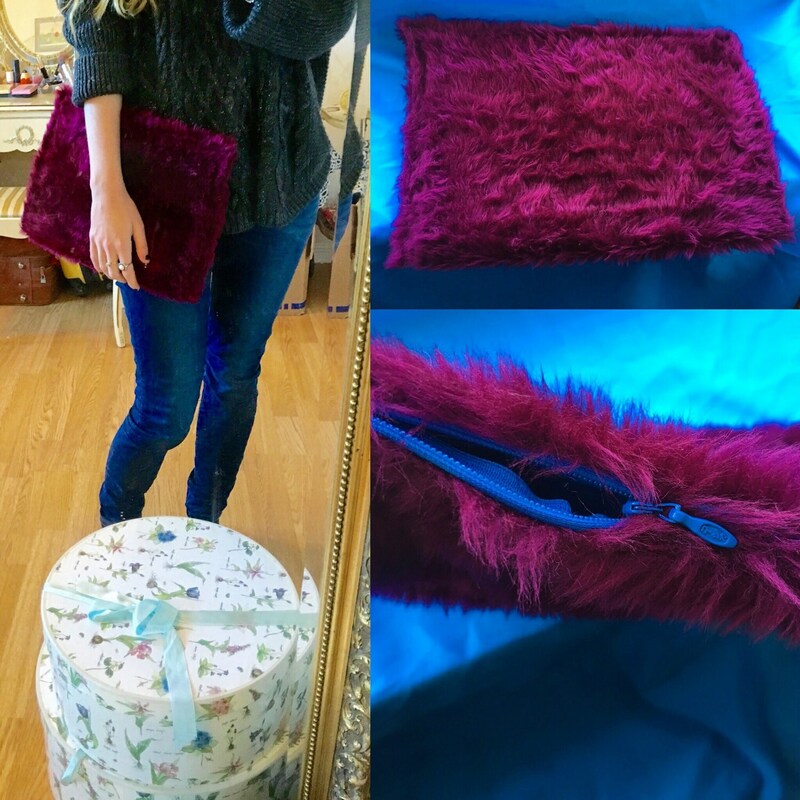 A quirky burgundy fur clutch bag with contrast zip. 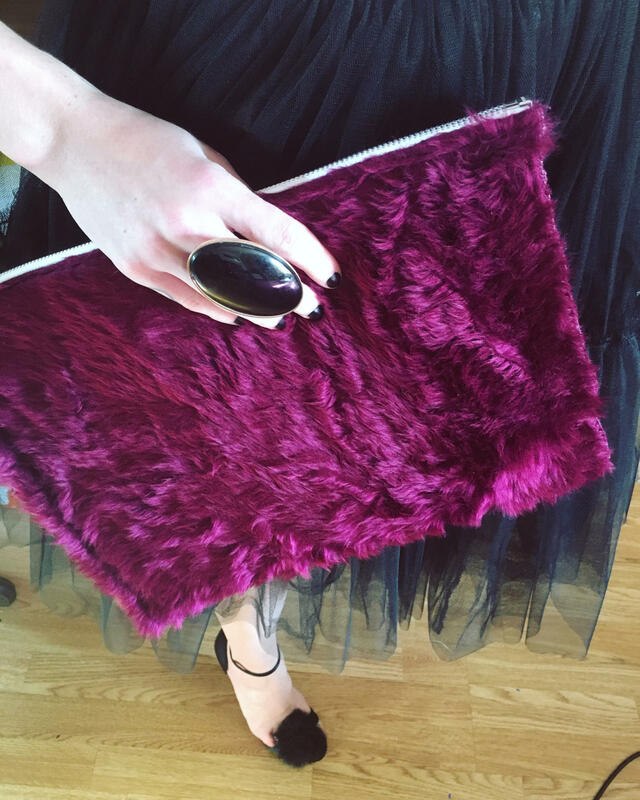 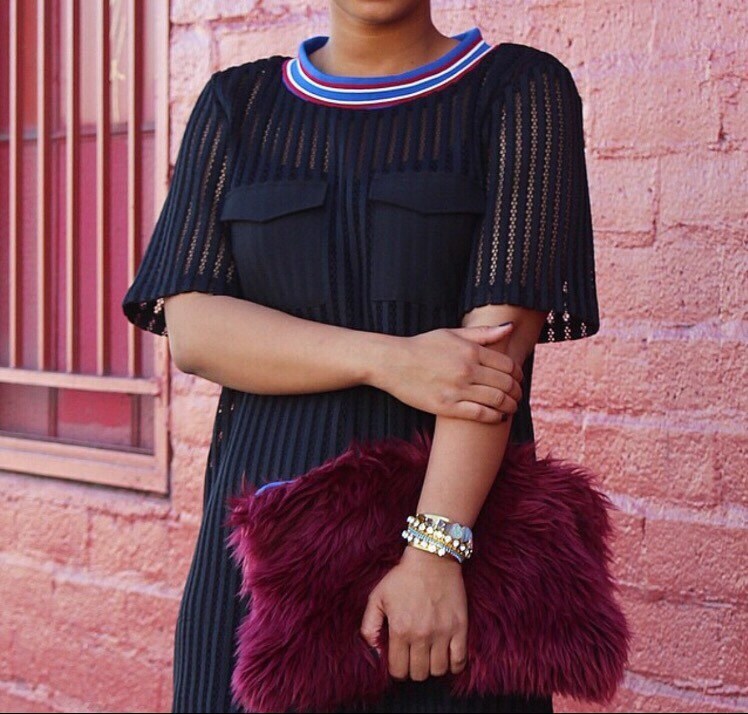 A fun and couture fur clutch bag, the perfect accessory! 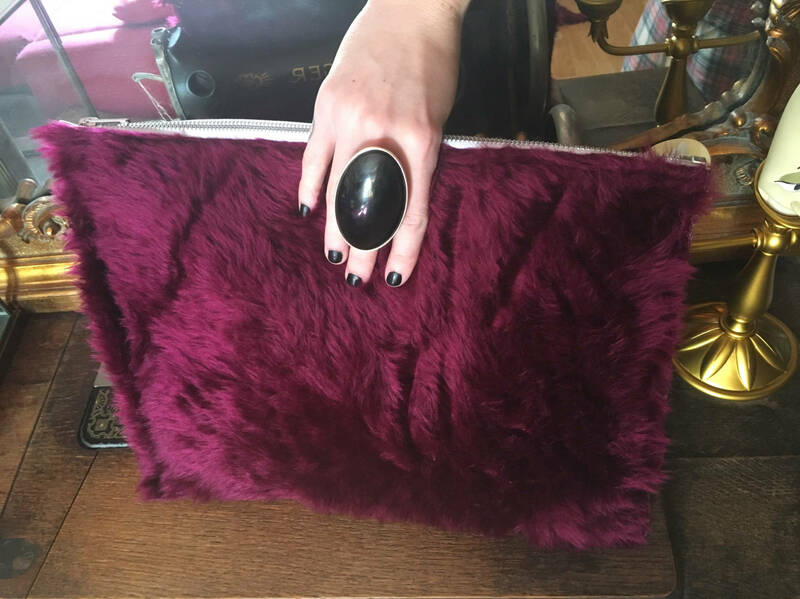 Material: Fur outer fabric, contrast satin lining with a zipper fastening.